Not since 1965 have there been as many Americans living in rental housing as there are today. With this steady increase in the number renters, it's important for tenants to make sure that they're safeguarding their belongings - that they have a plan in place for that worst-case scenario. We can never predict when a catastrophe might occur. There are events outside of our control, like lightning, hail, or hurricanes. There is the possibility of having your house broken into, or of having an accident, like an electrical fire. We all want to believe that nothing like this will ever happen to us, but if it does, how will you get through it? Everyone who rents their home should absolutely have renters' insurance, but how much renters' insurance do you need? Keep reading to find out how renters' insurance works, and how you can decide what amount is right for you. 95% of homeowners have insurance for their homes, but only 41% of renters have insurance. This is a surprising fact considering how much more affordable renters insurance is than homeowner's insurance, often as little as $10 per month. Unfortunately, many renters are misinformed about what type of insurance they need. They assume that their landlord has insurance which will cover them, when in fact this type of insurance only covers the building itself, not their belongings inside of it. Another mistake people make is in thinking "Well, I don't really own anything of value anyway." You might not have a garage filled with Camaros, but that doesn't mean your possessions aren't valuable. Imagine how much it would cost to start over with nothing, and furnish an entire house from scratch, to buy all new clothes. It would be a huge financial burden, which is why you want to invest in renters' insurance to help protect yourself in case anything catastrophic happens. It's such an inexpensive tool that will make an enormous impact on your life, if the time ever does come to use it. Renters' insurance can be broken up into two categories: Property Coverage and Liability. Property Coverage protects all of your personal belongings - furniture, clothing, electronics, household goods, basically everything you own. It also covers any possessions you have in your car, as long as it's parked at your house and registered under your name. Many insurance companies estimate that the average renter has $30,000 worth of possessions, but to be sure you're getting the right amount of coverage, it can be helpful to do a thorough inventory of everything you own. One thing people often forget to take into account is how much clothing they own. Because we build up our wardrobe slowly over time, we don't realize how much all of our clothing is worth as a whole. Your Property Coverage policy will allow you to replace your things if they are stolen or harmed in an accident or natural disaster. Property Coverage also includes Loss of Use Coverage, which will help you pay for any expenses you might have if you are forced to leave your home for a given period of time. Say another tenant in your building leaves the stove on and your apartment burns to the ground. Luckily, no one is hurt, but everything you own is gone, and you don't have a home to go back to. Loss of Use Coverage will help you pay for a hotel in the meantime, and any other expenses you might face while you try to put your life back together. If you can imagine what a scary and stressful experience that would be, it's clear how important having renters' insurance would be in getting through such a tough situation. The other important component of renters' insurance is Liability, which protects you in the event that someone gets injured while they're at your house. Say you're having a party and someone slips and falls on the ice. They have to go to the hospital and end up with $10,000 in medical bills, so even though they're your friend, they decide to sue you. This is where your Liability insurance will kick in and help to pay for their medical costs. Liability also covers damage to other people's property. If you accidentally leave your water running, and it floods the apartment below you, your Liability will help cover the expenses. Your insurance company has your back. How much Liability coverage you get ranges from $100,000 to $500,000, so you have to decide what amount is right for you. Sitting down with an experienced insurance salesman will help you figure out what levels of coverage you need. Your deductible is the expenses you'll have to pay out-of-pocket in the case of an emergency, before your insurance company will help out with the rest. Deductibles usually range between $200 and $1000, depending on your insurance company. The higher your deductible, the lower your monthly rates will be, and vice versa. People are often drawn toward a lower deductible, but then they end up spending more money in the long run on higher monthly premiums. Ideally, the best thing to do is choose the higher deductible, then set aside some money in a savings account as your "emergency fund." That way you know you'll be able to cover the deductible if that worst-case scenario ever occurs. 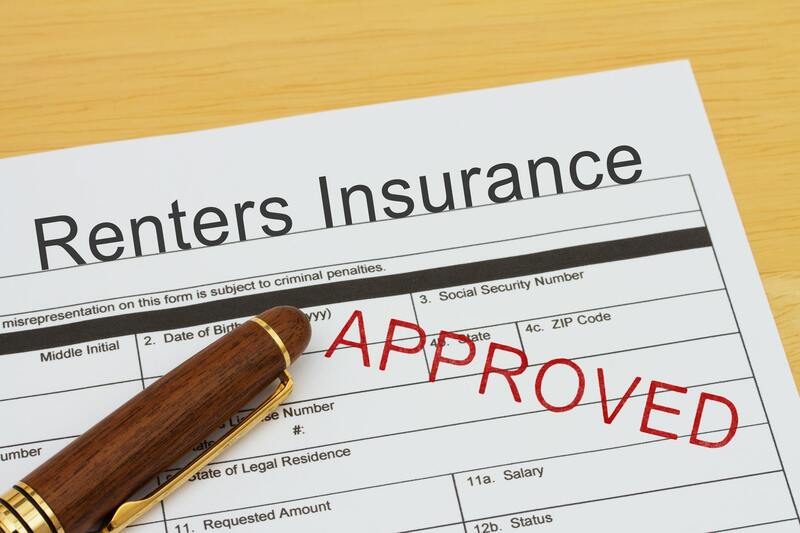 Figuring out how much renters' insurance is right for you can take some careful consideration. You want to make sure you understand all of your options, so go ahead and ask as many questions as you can think of. Everyone responsible adult who rents a home should own renters' insurance. Did we mention that it's pretty darn affordable? And, there are many insurance companies who will give you a discount for bundling your renters' insurance with other policies, so having renters' insurance can actually save you money on your auto insurance. Being prepared for the worst never felt so satisfying. If you're ready to take the first step in a more responsible future, start right now by getting a quote.